Dedication day dawned breezy, cloudy, but dry, which was of great relief to the Trustees, as the previous few days had seen high winds and heavy rain; there had been a genuine anxiety that the celebration of two years of hard work in the planning and construction of the memorial would be compromised. What was really heart-warming to the Trustees was unexpectedly large numbers of ex-boys who arrived to bear witness to the unveiling and dedication of the memorial. 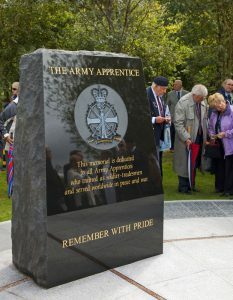 The Trustees believed from the very beginning the planned memorial would not only be a fitting tribute to “The Army Apprentice”, but would also be an elegant structure in it’s own right that others would wish to emulate. This view was endorsed by the spontaneous audible gasp and applause made by the congregation when the stunning beauty of the monolith was unveiled. 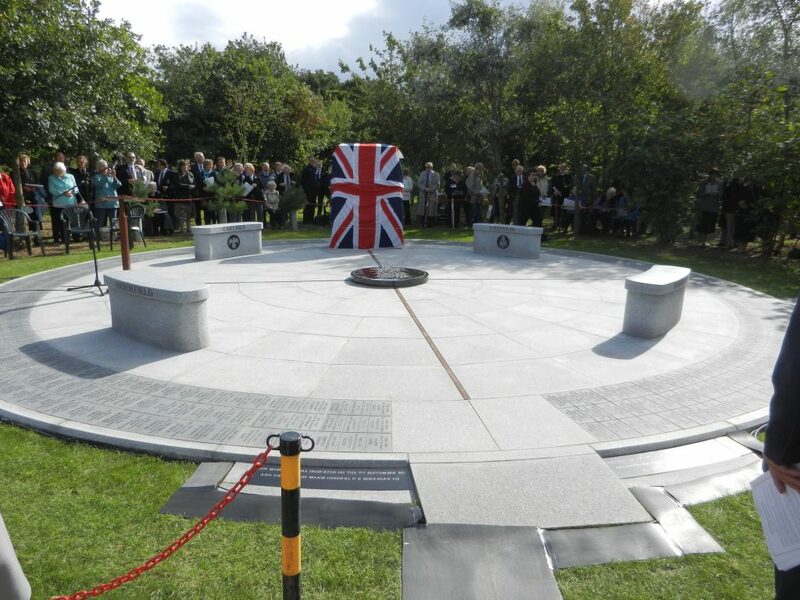 Prior to the dedication day, I had requested Anthony Church (TeeCee), Arborfield 55A, the author of the centre circle poem, to composed a few verses about the memorial itself. I have extracted and condensed a few lines from that poem into what I believe are appropriate for the final word on dedication day. Of a fine learning place; it was the youngsters who gave it heart and embraced the real soul. into maturity, to learn of truth, loyalty, and, above all, of honour, fair play. Lessons that turned those boys into men, to whom there’s a debt we can never repay.